Theatre star Ruthie Henshall features in this week’s edition of Hello! 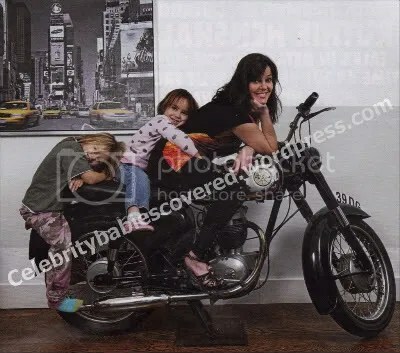 magazine with her two daughters — Lily Amalia, 6, and Dolly Olivia, 5, and talks about how she explained to the girls about why she split up with her husband and their father — Tim Hower — in the summer of 2009. We explained it to them in their own language , saying that Mummy and Daddy had to be best friends to be married and we aren’t best friends anymore. We told them that we would each have our own house, and they could decorate their rooms how they liked. It didn’t sink in for Lily until Tim went to Canada to see his family for a week, and she cried and cried, like I have never seen before. Despite the break-down of their marriage, it was and still is amicable, resulting in the family still spending Christmas all together. It’s very important to me that he’s around for these big events. He was there when the kids woke up and opened their presents. Divorce is hard for children when they get used or there is a bitter split-up, so I thank God they haven’t seen any of that. We never argue and we are friends. The whole thing is about our children being happy and as long as we are happy in their company, which we always are, there is no animosity and no nastiness. There is no third party involved — we just came to the end of the road. Tim is a brilliant father — I chose well there — and he’s a good kind man and it’s very sad when a relationship comes to an end. 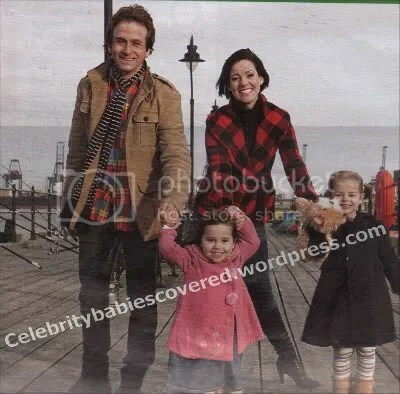 This entry was posted in Dad and Child Photos, Magazine Shoots, Mum and Child Photos, News. Bookmark the permalink.